It's not just the UK that's fallen in love with cider. Jane Peyton takes us on a trip around the world to discover the varieties and styles of cider found on every single continent. Jane Peyton is an award-winning beer sommelier, writer, broadcaster and founder of the School of Booze. As I have mentioned in previous features, Britain is the world’s largest producer of cider and Britons are its biggest drinkers per capita. 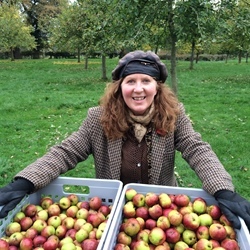 More than half of apples grown in the UK eventually become cider. But Britain is just one of dozens of countries that produce this marvellous drink. Can you name any of them? How about France and Spain? Would anyone add Germany and Austria to their list? It may be a surprise to learn that these countries, often more associated with wine and beer, have a long tradition of cider-making. Europe floats on a sea of fermented apple juice with Luxembourg, Estonia, Switzerland, Ireland, Sweden, Italy, Poland, Czech Republic and others putting the apples they grow to a use other than eating and cooking. Further afield, cider is popularly produced in South Africa, Japan, New Zealand, Australia, Canada and the US. That is not a comprehensive list, so forgive me anyone from a cider-making country that I have not mentioned! Our nearest neighbour France specialises in ‘keeved’ ciders from traditional apple varietals. Keeving is an artisanal procedure that happens when fermentation stops early, leaving residual natural sugars in the juice thereby producing a sweetish tannic cider that’s low in alcohol. Some West Country producers in England use the keeving method too, but it is more common in France. French cider culture is especially strong in Britanny and Normandy where both regions have secured Protected Designation of Origin (PDO) status for their ciders – Cornouaille and Pays d’Auge respectively. Many French cider-makers have wine-making heritage and this is apparent in the elegant bottle-fermented ciders served Champagne-style, complete with cork and musulet (the wire cage seal). 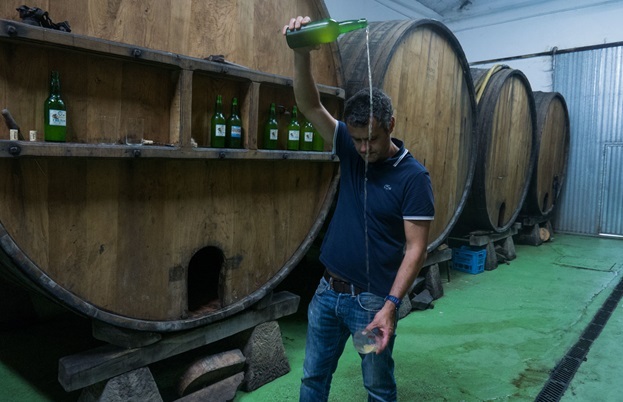 Spain is another land where cider is central to the culture, especially the Basque Country and Asturias – two northern regions where the climate is ideal for growing apples. Expect dry, tart, tangy, acidic and sometimes even acetic ciders that match the local food perfectly. A widely made style is sidra natural; to taste it at its best the cider needs a little aeration to rouse the dissolved gas and reveal the complexity of flavours. This is done by employing a highly theatrical technique known as escanciar la sidra, or ‘throwing the cider’. And it is literally that. The bottle is held above the head and cider is poured through the air with the intention of filling a glass held below the hip. Without practice the cider ends up on the floor (I know, I have done it) – what a terrible waste! Down under in that lauded wine-growing continent of Australia apples flourish in several states, especially Victoria and Tasmania (which is nicknamed Apple Isle). Apples arrived in Australia from England with the ships of the First Fleet in 1788. Just as in the old country, cider is made from specific cider apples, or eating and cooking apples – sometimes a blend of all types. This means that there is no one style of cider in Australia. There are tannic and there are acidic, easy drinkers and also wine-like ciders for the dining table. Several makers produce methode champenoise ciders, where like Champagne they are bottled fermented, spending months on yeast lees before being disgorged and becoming ready to drink. If you have heard of the craft beer revolution you may know that it started in America, but on a much smaller (yet significant) scale is the cider revolution happening in the USA. Like its beer counterpart, the cider revolution is a result of prohibition of alcohol in the 1920s. For decades after the repeal of prohibition, beer was light in body and light in flavour. It was only when home-brewing was decriminalised in the 1980s that full-flavoured beers made with imagination and (most importantly) passion were available for consumers. Prohibition meant that heritage cider apple trees were forcibly uprooted. 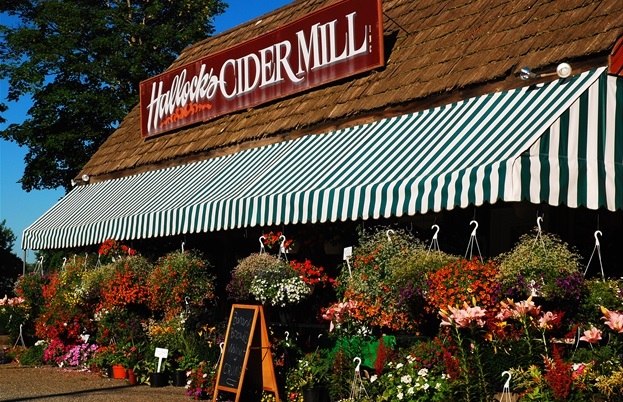 Now American heirloom, English and French varietals have been planted and fermented apples are back on the drinks list, making cider one of the fastest-growing alcoholic drink sectors. In many cities there are bars that focus on cider above any other drink, with dozens of draught taps and countless bottles and cans. Not even in Britain, one of the homes of cider, do we manage more than a handful of cider houses. Today’s renewed appreciation of cider is being driven and made by small, independent producers in forty-eight of the fifty US states who are innovative, imaginative and not bound by tradition. This means ciders aged in tequila or combined with unexpected flavours such as coffee or seaweed are exciting a new generation of drinkers. 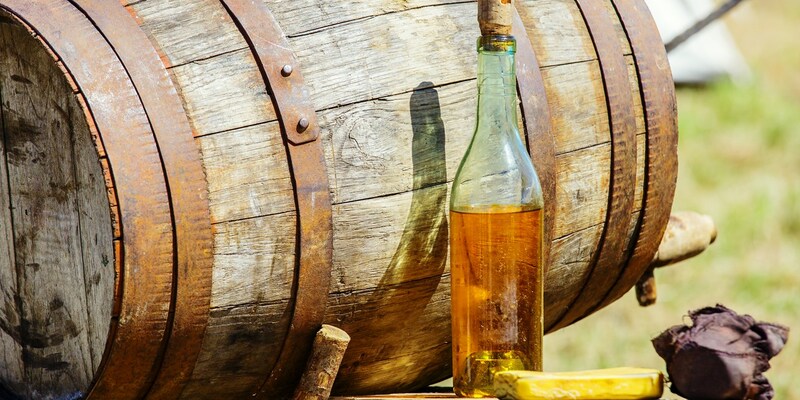 Let’s hear it for Canada, too, specifically Quebec, where ice cider was pioneered. Ice cider is what the name suggests; cider made with frozen apples. What the freezing temperature does is concentrate the sugars in the apple juice. The results are intensely sweet ciders of extraordinary complexity with a texture like syrup. Match them with cheese and together they are sublime. This feature only touches on world ciders. For the bible on the subject and with the best tasting notes I have ever read, look at a book called The Cider Insider by Susanna Forbes. It recommends 100 ciders from around the world, and if you are cider-curious it will spur you on for deep and practical research.